With the recent launch of the new iPad Pro lineup, there’s been a lot of debate (again) over whether or not the iPad is a real computer. It’s good enough to replace a laptop for some, but its mobile operating system falls short for many. 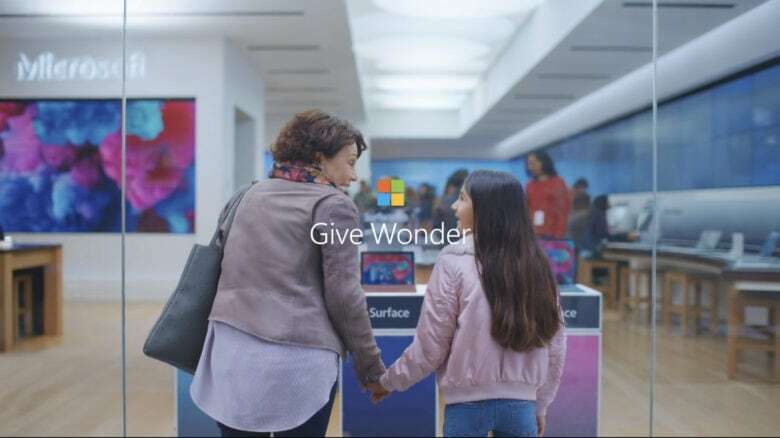 Microsoft highlights this in its new Surface Go ad for the holidays, which might just be one of its best Surface ads to date. It’s cute and funny, and it certainly points out one of the advantages Surface Go has over the iPad. Microsoft’s device runs Windows 10 — the complete desktop version — and offers all the things you would traditionally expect from a computer. The Surface Go is also significantly more affordable than most iPads. Starting at just $399, it’s considerably cheaper than the iPad Pro lineup, and only $70 more expensive than the 9.7-inch iPad. But there’s just one problem. The Surface Go might be a “real computer” that serves as a laptop replacement, but it isn’t an iPad replacement. There’s a reason why the iPad is by far the most popular tablet, despite being more expensive than most. Most of the people who buy an iPad don’t want to run desktop apps; they want to run iOS apps. And many of those iOS apps cannot be found on Windows, which also misses out on services like iMessage and FaceTime, which kids love. If your child asks for an iPad for Christmas, then, don’t buy them a Surface Go. Support for external hard drives won’t make up for the fact that the apps, services, and ease of use they were hoping for don’t come with a Surface tablet.